409 stroker with rare Mickey Thompson Super Stock cross ram intake. White over red with 4 speed. Cheaters, headers and much more makes this a real storm. Modified production tribute. 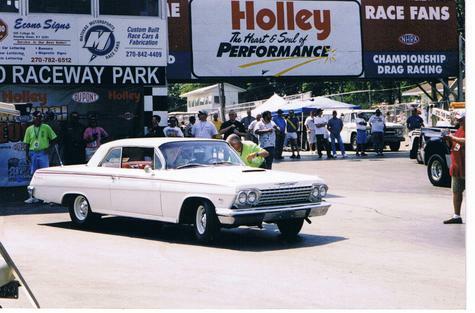 Great looking 62 Impala. I had one same colors with 283.